Conveying systems are an important component of the S&F product portfolio. That is why we build and produce various conveying systems for many applications as standard or tailored special constructions. We offer appropriate conveying systems for many diverse applications in the recycling and wood industry. 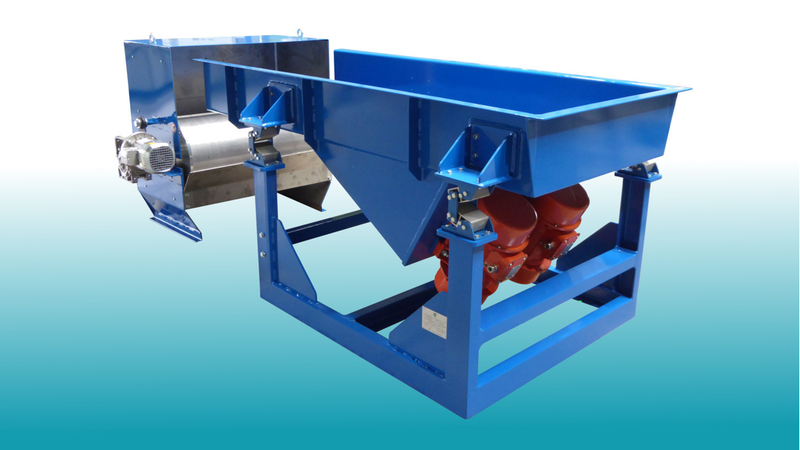 S&F’s AVR range of vibrating conveyors (vibratory conveyors) with a robust crankshaft drive are used for the horizontal feeding of wood chippers or as discharge conveyors. Optionally, a screening zone can be integrated. This makes it possible to separate into different size classes within the conveyor path. S&F’s AFR-type vibrating feeders (vibratory feeders) with unbalanced motors arranged on the side or underneath the machine are used, for example, for hopper discharge or as a discharge system following upstream conveying systems. Belt conveyors from S&F are used in many sectors. They are arranged horizontally or at inclines and transport almost all piece goods and bulk materials. Various designs - such as troughed belt conveyors, flat belt conveyors or sliding and trough belt conveyors - ensure optimum conveying results for different applications and material properties. S&F conveying systems convey and transport materials gently, are low-maintenance, reliable and can be integrated into existing systems.